Stuart Chase (1888-1985) was an American certified public accountant and author of more than 30 non-fiction books that deplored waste ("The Tragedy of Waste," 1925), promoted consumer education ("Your Money's Worth," 1927), provided a label and an agenda for the administration of Franklin Delano Roosevelt ("A New Deal," 1932), popularized Alfred Korzybski's General Semantics ("The Tyranny of Words," 1938) and Keynesian economics ("Where's the Money Coming From," 1943 and "Money to Grow On," 1964) and promoted the funding of research in the social and behavioral sciences ("The Proper Study of Mankind," 1948). Chase was born March 8, 1888, in Somersworth, New Hampshire, to Harvey Stuart Chase (1861-1946) and Aaronette Rowe Chase. His father was an engineer and an accountant. Chase married twice: Margaret Hatfield, in 1914, divorced 1929, and Marian Tyler, in 1930. He had two children with his first wife: Robert and Sonia Hatfield. Chase died November 16, 1985, at his home in Redding, Connecticut, a rural community where he had lived in a renovated barn since 1930. His cremated remains were buried in Umpawaug cemetery. 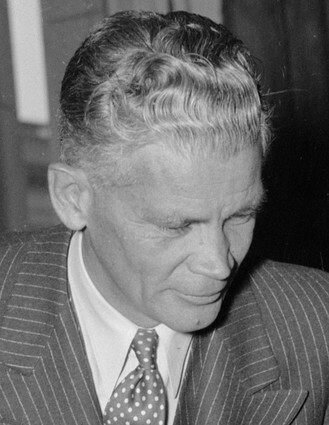 Chase served on the town's planning commission from 1956 until his death. Chase was educated at MIT and Harvard, where he graduated with honors in 1910. After graduation he worked for his father's accounting firm in Boston and became a certified public accountant. Chase aspired to be much more than a 'bean-counter,' especially after reading Progress and Poverty by Henry George in 1911. The book set Chase on a radical course. He joined the Boston club of the Fabian socialist movement, which advocated government intervention to ensure more equitable distribution of wealth. He campaigned for causes such as voting rights for women, birth control and a single tax based on land value. Chase and his first wife, Margaret, also a Fabian socialist, spent their honeymoon in 1914 posing as a homeless couple in Rochester, New York. The resulting 'baby' was a book published in 1916, A Honeymoon Experiment, that recounted their unsuccessful attempts to find work at a decent wage. When America teetered on the brink of entering what would eventually be called the first world war, Chase marched to the Capitol in Washington in a futile protest. With a wife and two kids to support, Chase began a career of private consulting and writing that included a stint from 1922-1939 as director of the Labor Bureau, a research organization for labor unions. Chase's economic writings throughout his long career focused on the tragedy of waste in an economy of abundance, a theme derived largely from his reading of Veblen. By "waste" Chase meant idle workers, planned obsolescence, deceptive advertising, unrestrained greed, public squalor and "conspicuous consumption," a phrase invented by Veblen in his most famous work, The Theory of the Leisure Class. Chase sent a copy of his 1925 book, "The Tragedy of Waste," to Veblen, who responded with an invitation to dinner. Chase recounted his dinner with Veblen in his introduction to a 1934 reprint of "Theory of the Leisure Class." Chase's experiences in government during the war, where he observed the success of central planning by the War Industries Board, crystallized into a belief that a modern economy could best serve the public if many of its functions were centrally managed by engineers and other technical specialists for the benefit of the many, not the few. This "technocracy" or "human engineering" movement reached its zenith in the 1930s but persisted throughout the writings of Chase. While Chase was researching "The Tragedy of Waste" he made the acquaintance of Frederick J. Schlink. The two of them collaborated on his next book, "Your Money's Worth," which became a Book-of-the-Month Club selection and a best-seller. In 1929 Chase and Schlink founded Consumers Research, the first non-profit organization dedicated to testing consumer products and distributing its data to the public in a monthly magazine. 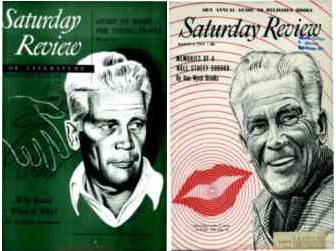 Consumers Research was a forerunner of Consumers Union, a copycat non-profit born in 1936. Before their report could be published, however, Stalin began his first round of purges, which included the exile and eventual assassination of Trotsky. The economic reforms of the Russian Revolution would take a backseat to the genocidal rule of a tyrant. Chase's book appeared in print in August of 1932. It was titled A New Deal and introduced Americans to the theories of British economist John Maynard Keynes. Chase asserted that mechanization and robotics had solved the problem of production but not the problem of distribution. He advocated greater government intervention in the economy to make the goods flow more freely, reduce waste, level the ups and downs of the business cycle and provide greater security and freedom for workers in an era of increasing specialization. A preview of Chase's book called "A New Deal for America" was featured on the cover of the The New Republic magazine during the Democratic National Convention in Chicago in July 1932. The convention nominated Roosevelt for president and in his acceptance speech FDR promised Americans "a new deal" if elected. The title of Chase's book and many of its reforms became part of the Roosevelt revolution: expanded public projects to employ workers, unemployment insurance, minimum wage, old-age pensions, overtime pay, right of workers to organize, child labor laws, banking and securities reforms .... The book also caught the attention of Albert Einstein, who wrote Chase in 1935: "Not often in my life has a book come into my hands with which I could agree so completely." (Vangermeersch, 2005, p 14). Chase's career began another transformation around 1934 when he was introduced to the work of a Polish immigrant, Alfred Korzybski, most likely by a mutual friend, Walter Polakov (1879-1948). Korzybski was a 'fellow traveler' in the human engineering (applied science) movement. His first book, "Manhood of Humanity -- The Science and Art of Human Engineering," was published the same year (1921) as Veblen's The Engineers and the Price System, although Korzybski made no mention of Veblen. The human engineering theme and egalitarian agenda of "Manhood of Humanity" would have been familiar news to Chase. What intrigued him was Korzybski's follow-up text, a difficult 800-page treatise called "Science and Sanity: An Introduction to Non-Aristotelian Systems and General Semantics" that attempted a synthesis of human science-mathematical behavior in a form that could be taught to the masses. Korzybski contended that humans evaluated more by verbal associations than the underlying non-verbal facts. He compared the effects of words and slogans on humans to Pavlov's experiments on dogs that he trained to salivate at the sound of a bell even in the absence of food. The dogs, Korzybski wrote, identified the ringing of a bell with food. When humans respond to symbols -- whether words or money -- as if they were the underlying realities they "copy animals in their reactions," producing an "unsane" world prone to doctrinal wars and cultural lag. This clarified for Chase how the masses could be so easily manipulated by demagogues and vested interests through the use of labels like "communist," "socialist," "liberal," "fascist," "free enterprise" ... to elicit 'knee-jerk' responses. The public's Pavlovian reactions to the verbiage could effectively block factual evaluation and beneficial change. Not only did Korzybski diagnose the 'disease,' he also prescribed a treatment -- consciousness of abstracting. Chase later wrote: "I shall never cease to be grateful for the wholesome shock my nervous system received when I first read Korzybski's magnum opus, Science and Sanity. It forced me to realize some of the unconscious assumptions embedded in the language which I as a writer had been calmly accepting." (Power of Words, p 125). The most tangible result was Chase's 1938 bestseller, ''The Tyranny of Words'' in which he became the first popularizer of Korzybski's General Semantics. Chase's encounter with Korzybski had profound effects on both men. "Tyranny of Words" was published as another war loomed in Europe. In "Tyranny" Chase wrote: "I do not like dictators, especially those styled fascist, but I dislike the facts of modern warfare more. It may be argued -- and is -- that if Hitler gobbles up Russia, the United States will be next.... Hitler has first to deal with Stalin's army, and especially his air force. In the not-too-probable event that he conquered Russia, one suspects that he would have trouble enough trying to sit on the 180,000,000 Slavs who stretch along two continents without being eager to sit on 130,000,0000 Americans occupying a large section of a third continent." (p 340). In his next book, "The New Western Front," published in 1939, six months before the outbreak of war in Europe, Chase argued that America should re-arm and seek stronger ties with countries in the western hemisphere but keep out of any new European war unless we were directly attacked. Most Americans agreed. Chase's opinion did not change with the fall of France and the onset of the battle for Britain in 1940, although he did support President Roosevelt's efforts to make America the arsenal of democracy. The Japanese attack on Pearl Harbor -- December 7, 1941 -- brought the debate to an end. The Twentieth Century Fund hired Chase to write a series of 6 books on the topic "When the War Ends." The first of the series appeared in 1942, titled The Road We Are Traveling -- 1914-1942. Here Chase noted the trend in developed countries away from a decentralized economy to more government supervision of the economy. In some countries this trend was democratic -- the United States, Britain and Sweden -- whereas in others it was totalitarian -- Hitler's Germany, Stalin's Russia and Mussolini's Italy (p. 94-97). Chase's third book in the series, "Where's the Money Coming From," presented a modern view of money as numbers recorded in ledgers that can be created, transferred and extinguished by the Federal government and the banking system. Chase worked to dissuade the reader of the popular notion that commercial banks loan out their depositors' money but, in reality, create money as debt. 1. By the banks' making new loans to commercial enterprises in excess of loans retired. 2. By the banks' making loans to the government in exchange for government bonds. 3. By the government's creating new dollars through bonds deposited in its own central bank -- the Federal Reserve, in our case. Chase suggested that future Great Depressions could be prevented if we followed the advice of British economist John Maynard Keynes -- lower taxes on consumers, increase government spending on public works and inflate the money supply. In his 1964 book "Money to Grow On," Chase noted that the Kennedy administration successfully used these techniques to stimulate growth. To fund public works and maintain full employment without creating a burdensome Federal debt, Chase suggested the Federal government sell non-interest-bearing, non-maturing "growth certificates" to commercial banks, which they could use as reserves to generate money for loans to the public. A more radical option suggested by Chase was for the Federal government to establish its own "Bank for Growth" to create the funds needed for public works and full employment (p100). After the War, John Kenneth Galbraith, a graduate of Roosevelt's New Deal, picked up the economics pen of Chase while Chase turned his literary attention to other social issues. Congress was investigating the establishment of a National Science Foundation to support research in the sciences. The social sciences were omitted from the original NSF charter in 1950 because some in Congress believed that "man was not part of nature" and so "could not be studied scientifically" and "all we need are the application of established moral precepts" .... It was in this environment that Chase produced "The Proper Study of Mankind," advertising the value of social and behavioral science research (Lindeman, p. 311). First published in 1948, "The Proper Study of Mankind" became a widely-studied college text that was revised in 1955 and 1962. It was partly to Chase's credit that NSF funding was expanded in 1957 to include the social and behavioral sciences. Several of Chase's post-War books continued to reflect the influence of Korzybski's General Semantics, including "Roads to Agreement," "Power of Words" and "Guides to Straight Thinking." Each described how naive use and misuse of language can derail progress and understanding. Chase introduced Korzybski at a dinner in New York City in 1948 as one of the three leading "intellectual revolutionaries" of his lifetime. His other choices were Einstein and John Maynard Keynes. Chase's final book, written in his 80th year and published in 1969, was a presentation of Korzybski's work written for young people, "Danger - Men Talking!" In his twilight years Chase continued to write a weekly column for his local newspaper, the Redding Pilot, and contributed occasional articles to magazines, especially the Bulletin of the Atomic Scientists. Chase suggested we were the last civilization -- a global civilization -- whose survival was threatened by nuclear war, exponential population growth, environmental pollution and depletion of natural resources. These issues-without-borders could not be resolved by countries acting alone, but required international cooperation. He argued that economic growth must give way to stable-state economies. He noted that stable state, or sustainable, economies do not imply stagnation. Growth would continue unabated in knowledge and know-how. It is the wasteful, toxic use of resources that would be restrained. Thus, Stuart Chase had returned to the theme that had launched his public career in the 1920s, the tragedy of waste, but the new justification was survival, not simply efficiency and social justice. * Published by the Twentieth Century Fund, established in 1919. 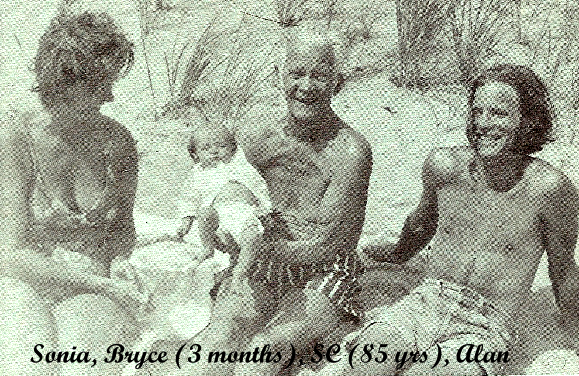 Bradley, L. J., & Merino, B. D. (1994). Stuart Chase: A radical CPA and the meat packing investigation, 1917-1918. Business Econ. Hist., 23(1), 190-200. Chase, Stuart (1940). Current Biography, pp. 162-164. New York: H.W. Wilson. Chase, Stuart (1924). Portrait of a Radical. The Century Magazine, July, pp. 295-304. Hodson, Alan and Carfora, John. (2004). Stuart Chase: Brief Life of a Public Thinker. Harvard Magazine, Sept.-Oct., 2004. Lindeman, Eduard. (1949) The Proper Study of Mankind. Social Forces, March, pp. 311-313. Renouard, Joe. (2007) The Predicaments of Plenty: Interwar Intellectuals and American Consumerism. Journal of American Culture, March, pp. 54-67. Vangermeersch, Richard. (2005). 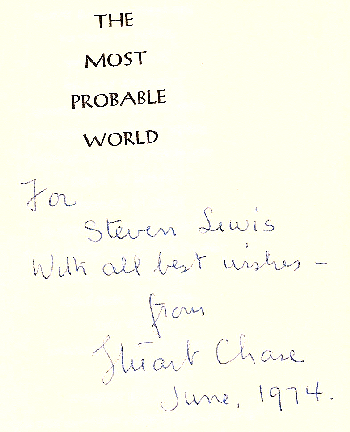 The Life And Writings of Stuart Chase (1888-1985) from an Accountant's Perspective. Elsevier. Westbrook, Robert B. (1980). Tribune of the Technostructure: The Popular Economics of Stuart Chase. American Quarterly, Vol. 32, No. 4, 387-408.